Hi everyone! I hope you're all okay and are looking forward to the weekend? I'm currently curled up on my sofa feeling sorry for myself because I've been struck down with the horrible lurgy that everyone seems to be catching at the moment. I woke up this morning feeling like I'd swallowed a set of knives - not ideal. With this being said, I plan on running myself a hot bubble bath, drinking lots of tea and being utterly lazy for the rest of the evening. So another month has past and unlike most months where I say 'I can't believe how quick the month has gone', I'm pretty glad January is almost over. There's something about January that I just utterly despise - I don't know if its the Christmas blues, the lack of money or the prospect of having nothing to look forward to until Summer that makes it such a poopy month but either way, roll on February. February brings valentines day, starting my driving lessons (eep!) and meeting my nanna and grandad's new puppy which I couldn't be more excited about. Anyway, enough chit chat from me and I'll pass you over to some fabulous people who've been sat over on the right hand side of my blog for the past month. As always, they're a wonderful bunch and I'd urge all of you to go and check out their websites if you're looking for some new reading material. There's some of my personal favourites amongst this lovely lot! As always, their blogs/websites are linked in the title of their intros so be sure to stop by and say hello! Hi CoutureGirl readers, my name is Charlotte and I blog over at lilmisschickas. By day I recruit mechanics and at night I transform into a beauty blogger so I can talk all things girly. I have a serious addiction to all things Beauty and Disney and it is my lifelong ambition to try and achieve the perfect liquid line (I'm so much better now than I was two years ago when I first started blogging!) and to visit every Disney World Resort Hotel! My blog consists of all of the above with a few lifestyle & food posts and tags thrown in for good measure! Hi, I'm Louise and I'm a shopaholic! I'm a 28 year old mum of two from a little village just outside of Mansfield in the UK. Confessions of a Secret Shopper was created back in January 2012 when I was off work with back problems. (I have scoliosis, which is a curvature of the spine, and though a lot of the time I don't suffer with any back pain, silly little things - like stress - can trigger it). Since starting my blog I have loved and nurtured it as if it were one of my babies and my intention is to keep on writing until the lovely people who take the time to read and comment every single day decide to stop. On Confessions of a Secret Shopper you will find many a review, haul, collection, best and worst type of post and much more besides. I really hope you'll stick around to see what I have to offer. Hi there, I'm Holly-Rhian - you'll find me over at 'www.feebleflower.blogspot.com'. My Blog's based on beauty posts at the moment but I'm wanting to lead into fashion an lifestyle posts in the future, so I hope you enjoy if you stop by. You can also keep up with my ramblings on twitter @feeble_flower. My name is Bethany and I am a 23 Year old blogger based in Cheshire. Whilst my main passion lies in fashion (who doesn't love a good handbag) I also love beauty and lifestyle too, because of this my posts tend to be quite eclectic giving you an insight into my views on fashion, my fave beauty buys and my fave hotspots! I am just a normal 22 year old named Laura. I am a full time teacher with an interest in make up, fashion and anything beauty related. I started my blog as a place to write my thoughts a feelings about different products I try in my everyday life. Hey Everyone!!! My name is Anna-Maria the owns we of www.topdrawfashion.com. I have always had a passion for fashion as my mum was in the wardrobe department for television and a lot of films. Its always been in my blood and always find myself on youtube watching makeup videos and shopping. So i decided i wasted to share this all with you guys and start my own blog, I love sharing all my fashion ideas and outfits i have bought. So come and stop by as there are lots of exciting things happening this year and can't wait to share it all with you all, I love to hear what others have to say so come by even to say Hi. I am a beauty and fashion blogger who decided to make a bigger brand out of my blog GlitterBuzzStyle. I decided to dabble in the beauty industry and produce a cosmetics line that represents a woman adding the glitz to her beauty. GlitterBuzzStyle Cosmetics formed last May with a lot of hard work, passion and excitement. For me I wanted to provided women a range of colors to be bold and effortless at any moment and pair my products with their key signature faves. The launch of this allowed me to even add a bit of fashion as well, so every month I showcase a few fashion trends that's affordable and accessible to every trendsetter around the world. If you love beauty and fashion GlitterBuzzStyle Cosmetics gives you it all. My name is Zoe and I'm a 20 year old beauty blogger/youtuber over at zoebowx.blogspot.com / youtube.com/zoebowx93. I am a makeup addict and a dog person. Not cats. My blog is my little place on the inter webs where i can voice my opinion and views. Its not updated regularly at the moment, as being a third year uni student, the pressure is on BIG time. I have only just started youtube channel and i think i like it more then blogging. I love editing, creating the videos and just everything. I hope that you come have a peek at what i get up to over on my blog and youtube channel. If you do, then you get a virtual hug from my puppies. Do you follow any of these blogs? Let me know if you find some new favourites! 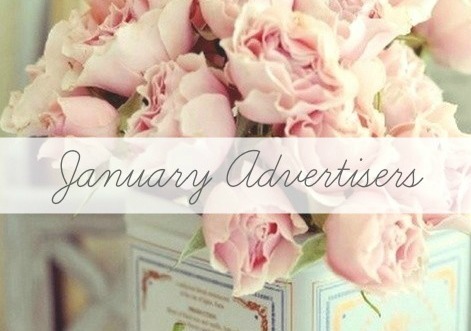 I'm now taking bookings for March advertising spaces on my blog. If you'd like more info, you can click here or send me an email to kljohnson1990@gmail.com. can't believe january is over!!!! :( so sorry to hear you're sick! get better soon! looks like some lovely ladies. will have to check out their sites soon. i really hope you feel better soon - and you are right this is def. that time of year that stuff is going around. i just got over the flu myself! cheer up and drink lots of ginger tea with honey!